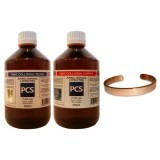 Premium Quality Colloidal Silver - Approx. 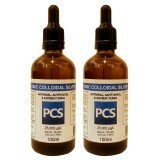 25ppm / 25,000ug/litre ColloidalBuddy Is Ideal To Keep With You In Your Handbag Or Pocket! 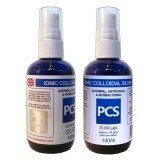 Antib..
SPECIAL OFFER 2 x 100ml bottles (200ml total) of premium quality colloidal silver made to approx. 25ppm (parts per million). 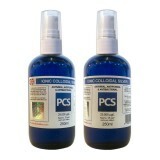 At 25ppm, our produ..
SPECIAL OFFER - HANDY TRAVEL SIZE SPRAYS 2 x 100ml atomiser sprays (200ml total) of premium quality colloidal silver made to approx. 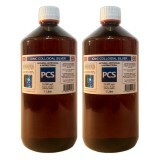 25ppm (parts p..
SPECIAL OFFER - 100ml HIGH QUALITY GLASS DROPPER BOTTLES 2 x 100ml droppers (200ml total) of premium quality colloidal silver made to approx. 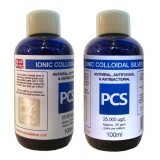 25ppm..
SPECIAL OFFER 2 x 250ml bottles (500ml total) of premium quality colloidal silver made to approx. 25ppm (parts per million). 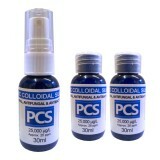 At 25ppm, our produ..
SPECIAL OFFER - HANDY TRAVEL SIZE 250ml SPRAYS 2 x 250ml atomiser sprays (500ml total) of premium quality colloidal silver made to approx. 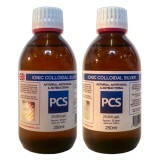 25ppm (p..
SPECIAL OFFER - 2 x 250ml GLASS Bottles 2 x 250ml bottles (500ml total) of premium quality colloidal silver made to approx. 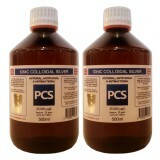 25ppm (parts per millio..
SPECIAL OFFER 2 x 500ml bottles (1L total) of premium quality colloidal silver made to approx. 25ppm (parts per million). 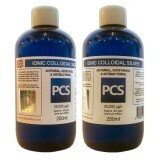 At 25ppm, our products..
SPECIAL OFFER - 2 x 500ml GLASS Bottles 2 x 500ml bottles (1 Litre total) of premium quality colloidal silver made to approx. 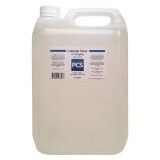 25ppm (parts per mill..
SPECIAL OFFER - MASSIVE SAVINGS BY BUYING IN BULK 2 x 1L bottles (2L total) of premium quality colloidal silver made to approx. 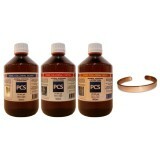 25ppm (parts per mi..
A 5 litre bottle of our premium colloidal silver. ..